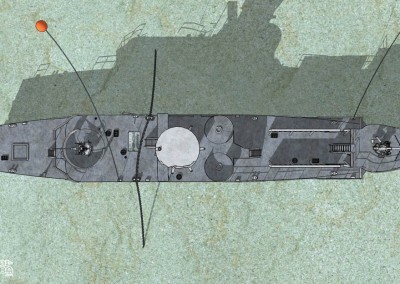 The wreck lies at a depth between 28 and 30 meters. 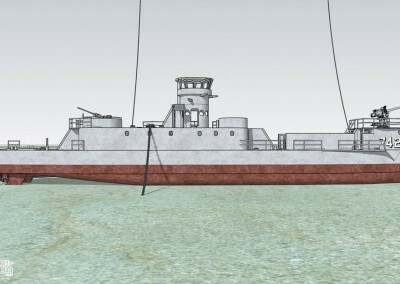 Overall length of the wreck is at roughly 48m. 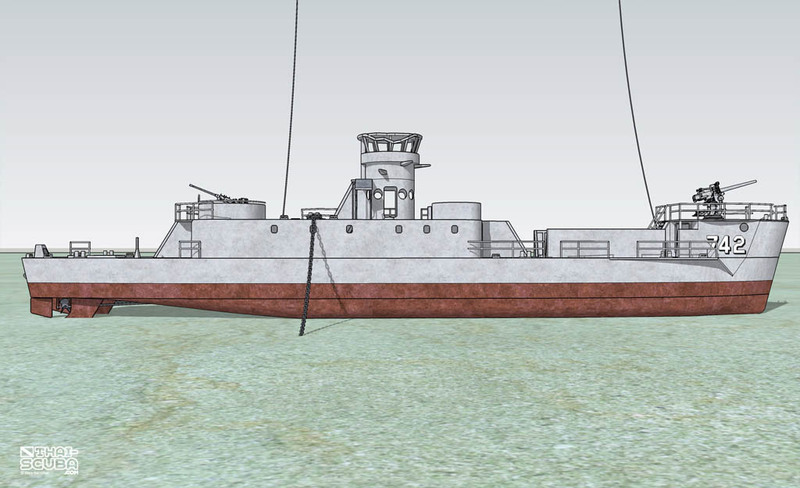 After her sinking on 18 June 2011, the Sattakut landed on her starboard side but was later lifted upright. 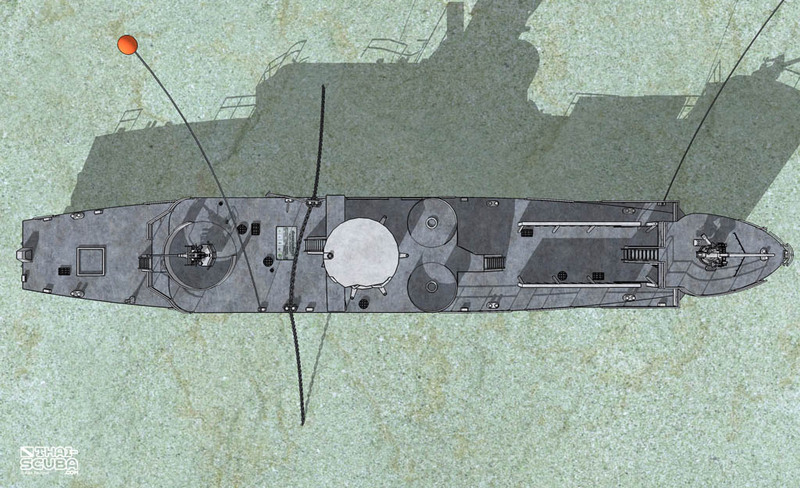 A large chain right across her hull now keeps her from moving or tilting again. 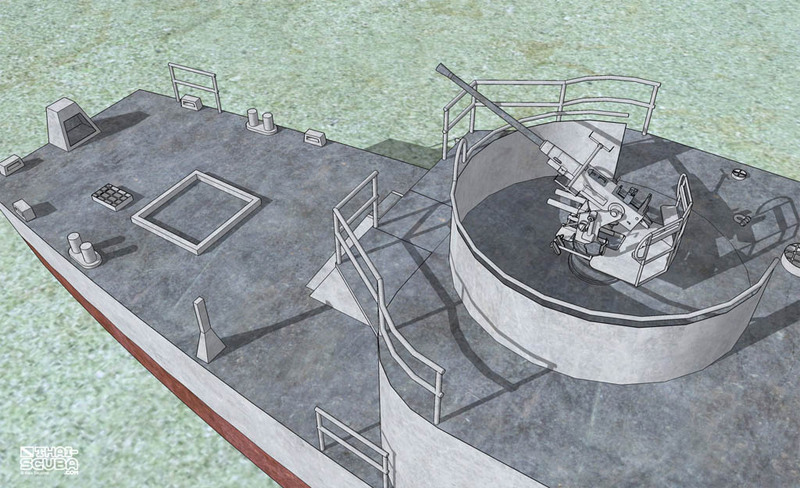 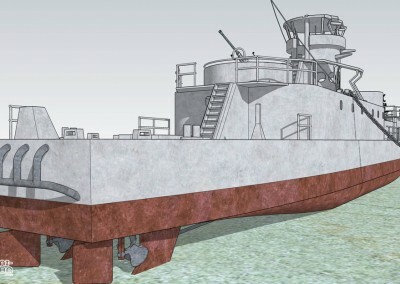 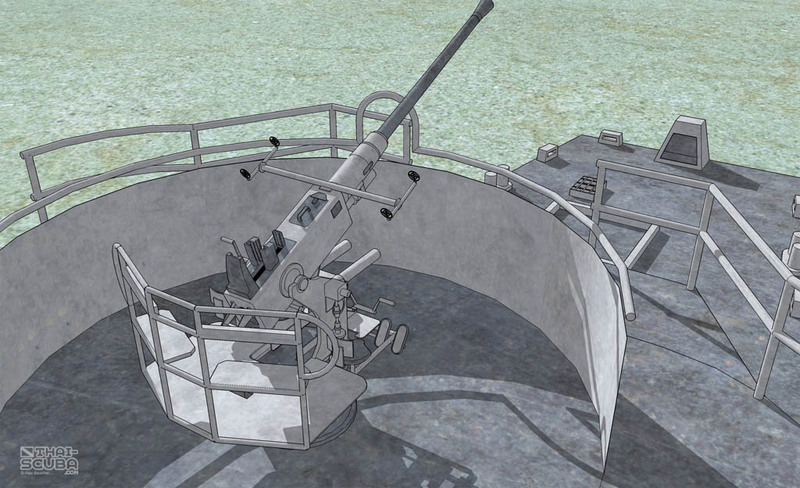 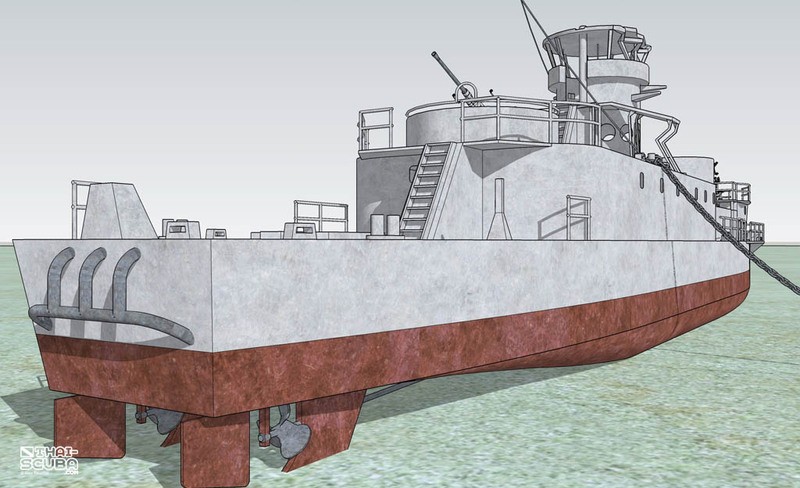 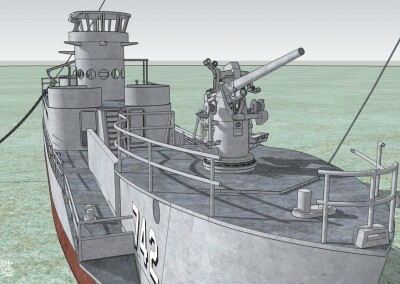 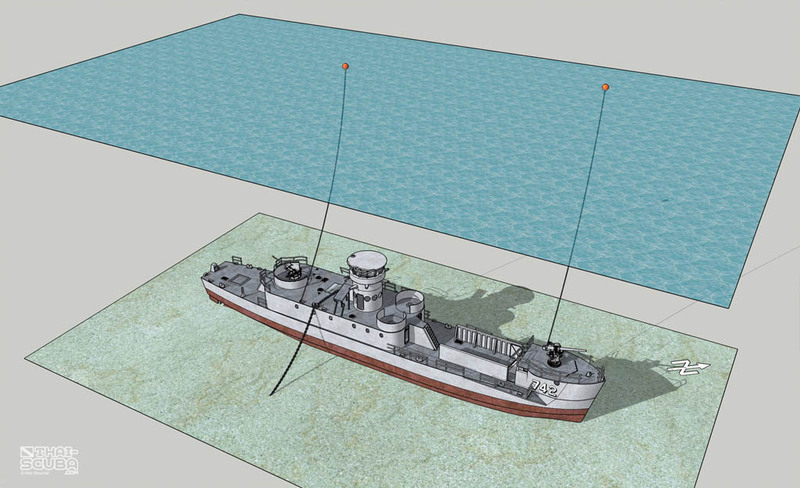 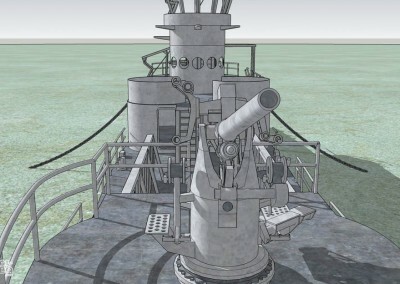 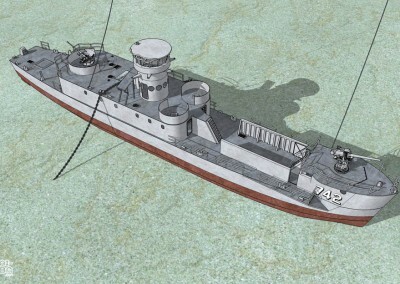 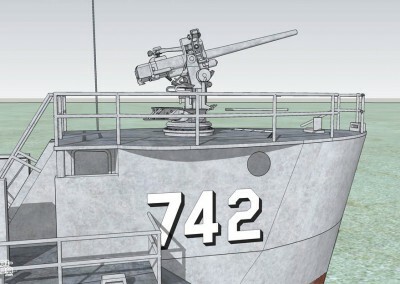 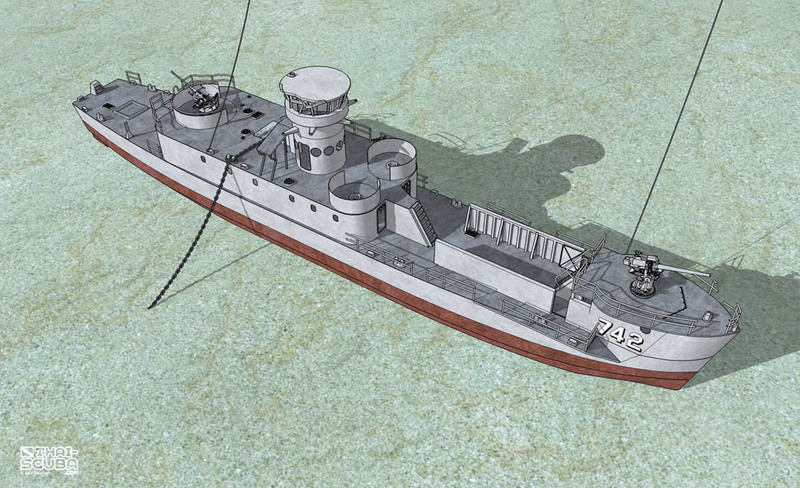 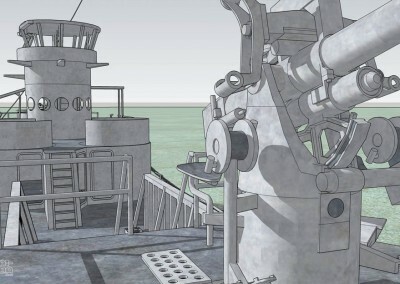 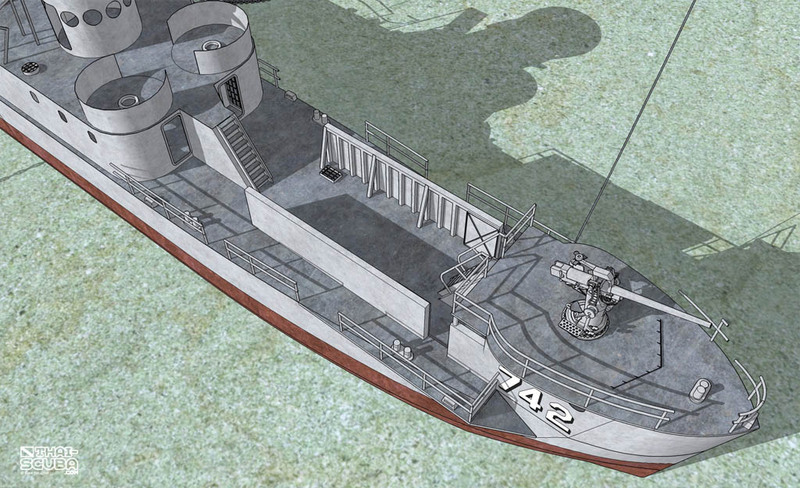 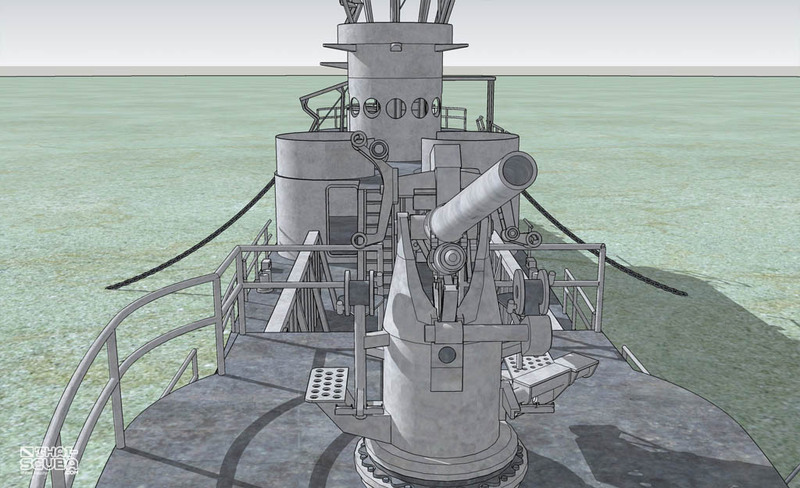 The 3″ 50 caliber gun crowns the forecastle. 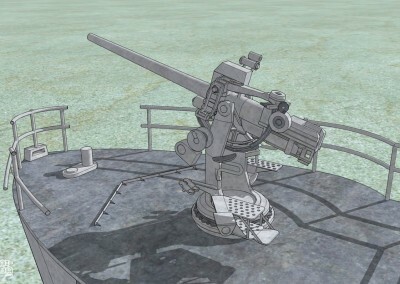 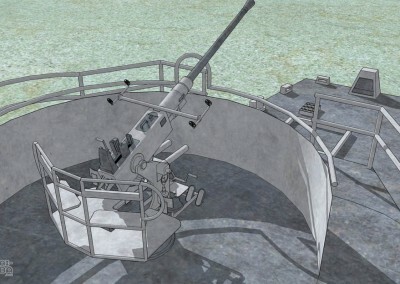 The 3″/50 caliber gun in profile. 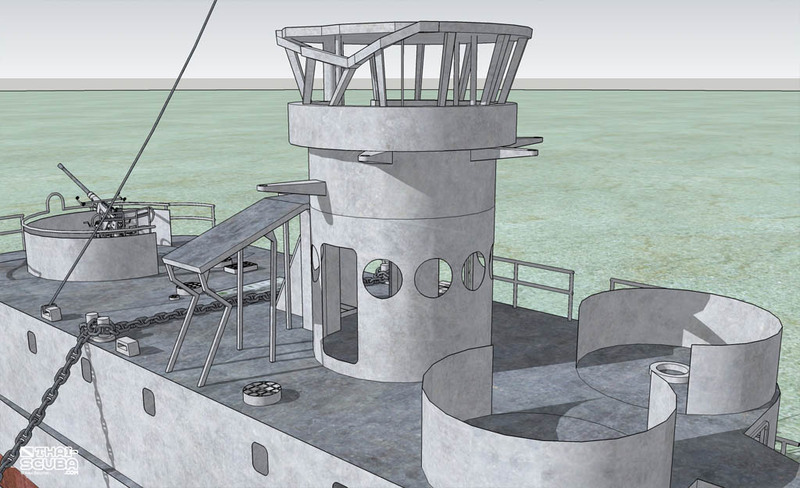 The door way right of the outer forecastle stairs gives access to penetrate the lower deck, down through a second stair case. 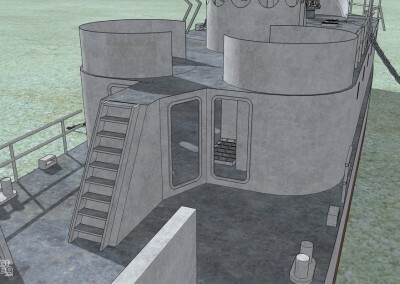 3 open doorways allow easy access into the forward upper deck area. 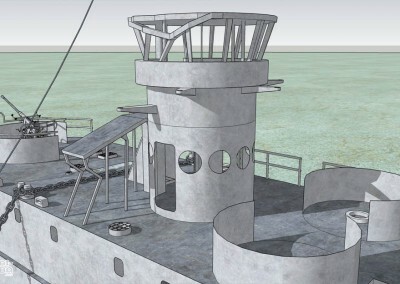 Just like all the lower deck cabins, the doorways of individual cabins inside the wreck have been welded shut before the sinking. 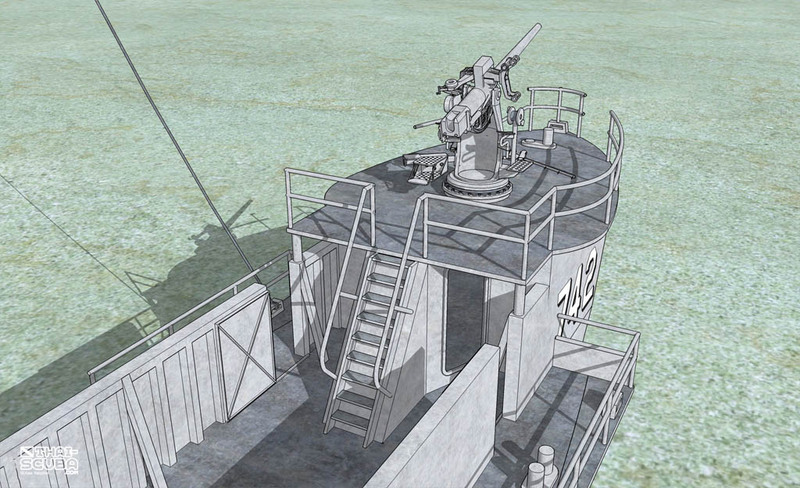 The area between the ‘walls’ was to assemble troops before the beaching of the ship. 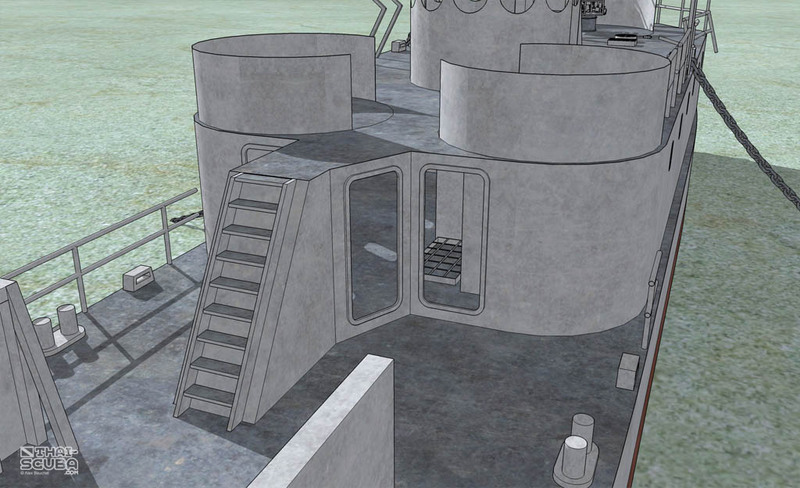 Originally, there were sliding catwalks positioned on the outer sides of these guards that would slide forward past the registration numbers and serve as bridges for the troops to land. 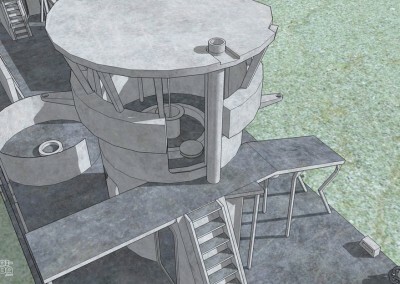 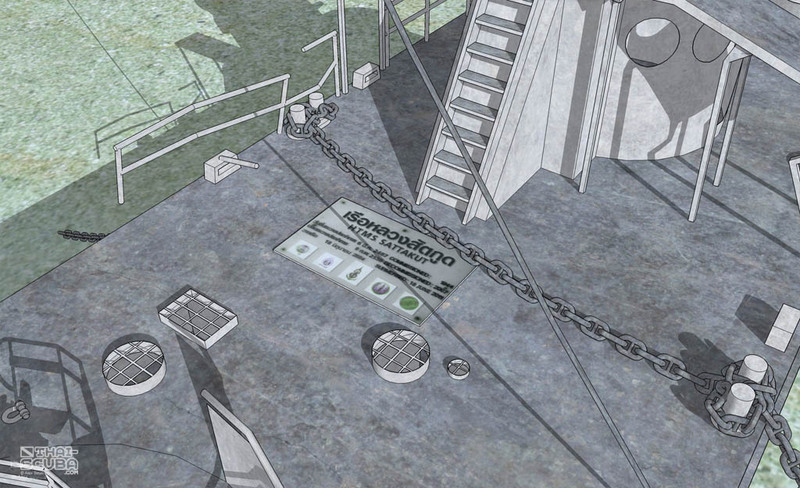 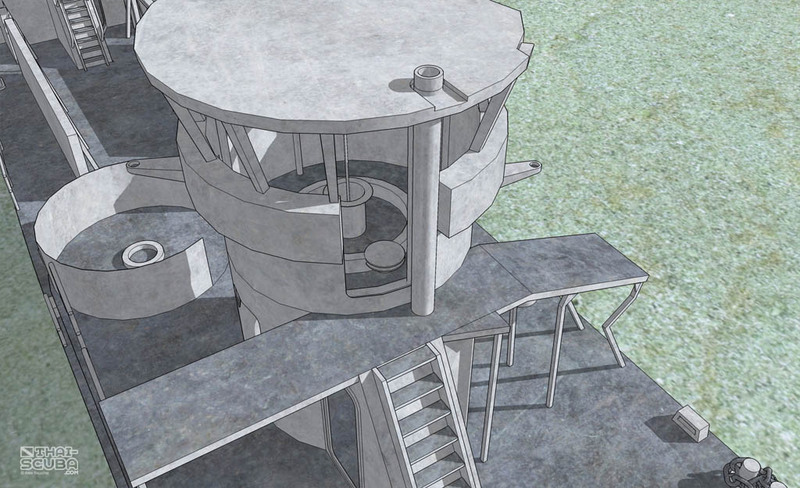 Attached to the tower is an open stair case which leads to the main deck cabins. 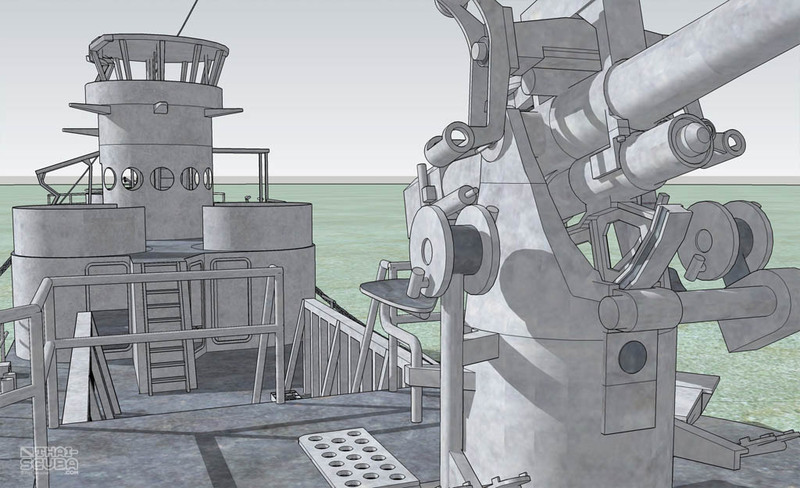 The inside of the conning station. 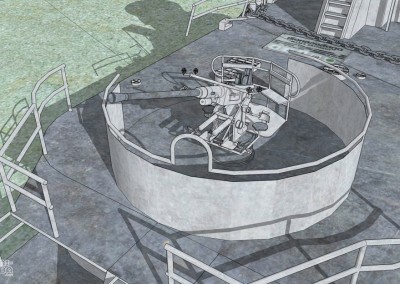 The upper curve in the outer rail of the Bofors 40mm gun turret was to prevent the barrel from dropping into the area coming up from the stairs. 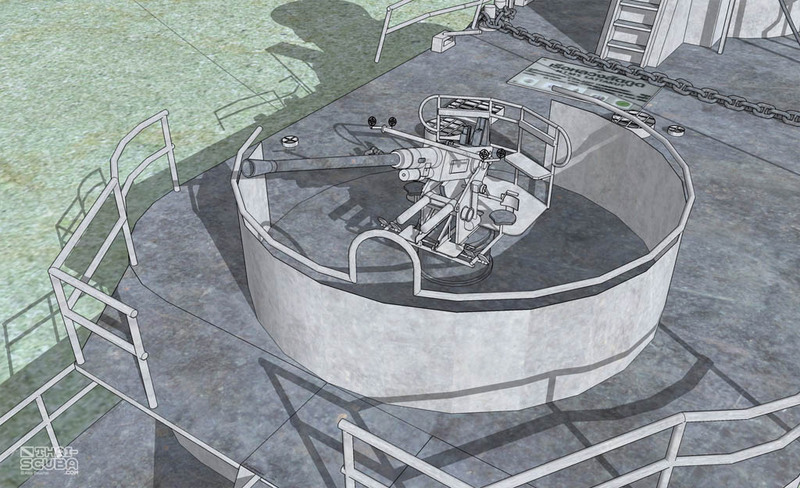 The stern area beneath the Bofors 40mm gun. 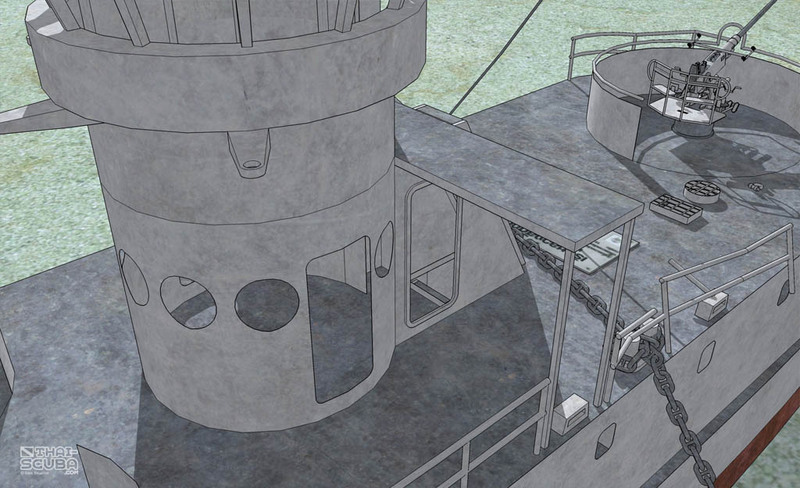 The rectangular frame on the deck was the fitting for the strong anchor chain winch. 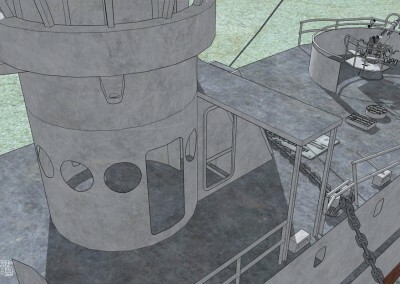 Twin propellers and an anchor grid at the stern. 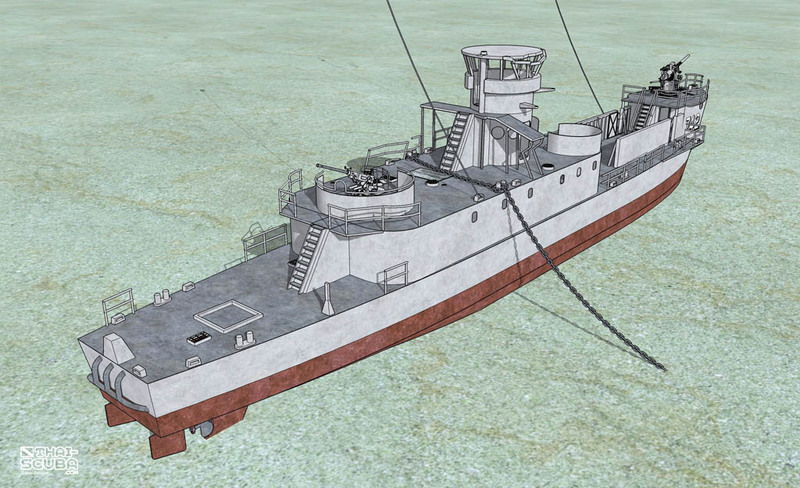 The starboard side in full length. 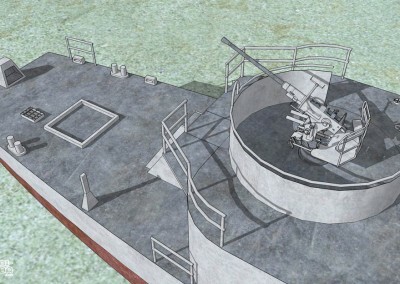 … whereas the seat on the right was for turning the entire gun sideways. 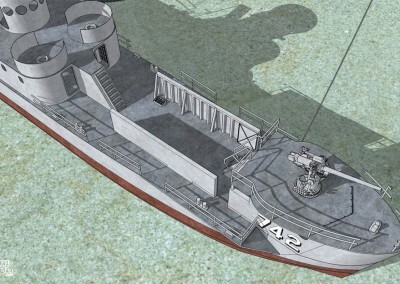 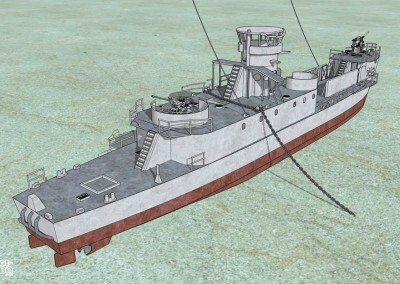 Front view of the forecastle deck. 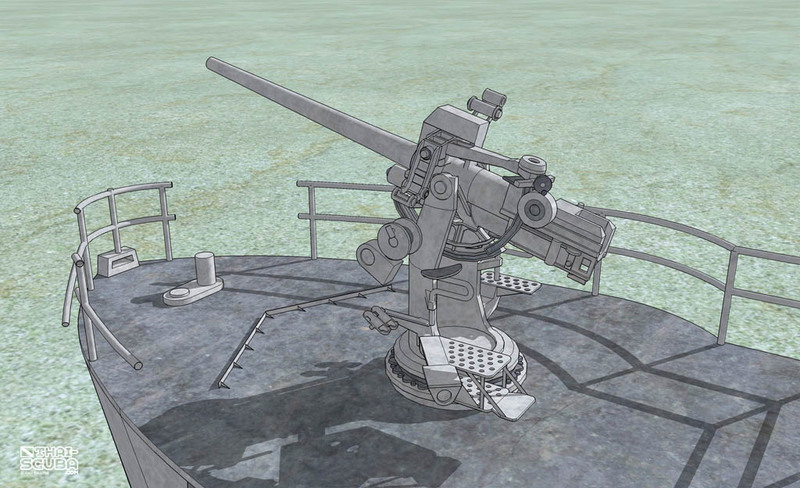 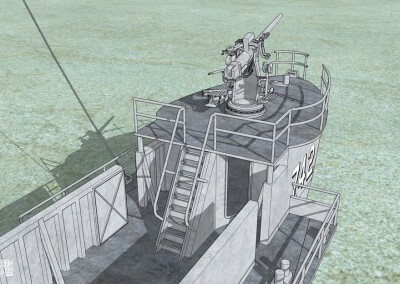 The platform behind the Bofors 40mm gun was modified from its original design. 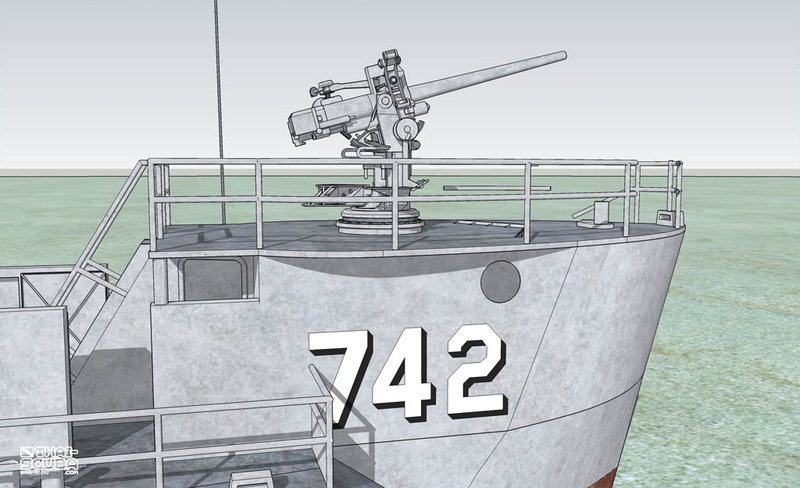 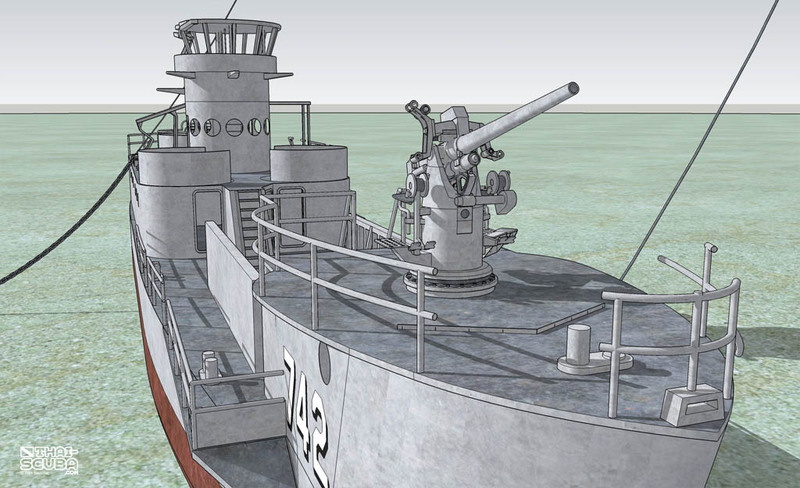 The design of the 3″/50 caliber Mark 22 gun goes back to WW2 but some guns are still being used today on ships of the Philippine Navy. 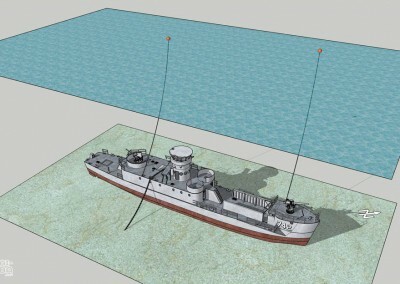 Top view of the HTMS Sattakut wreck. 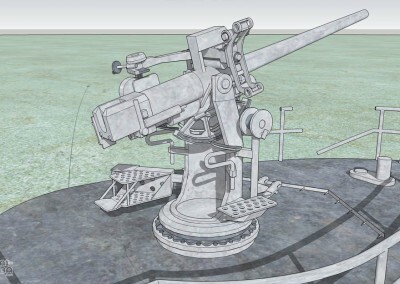 VIEW THIS 3D MODEL IN ANIMATION! 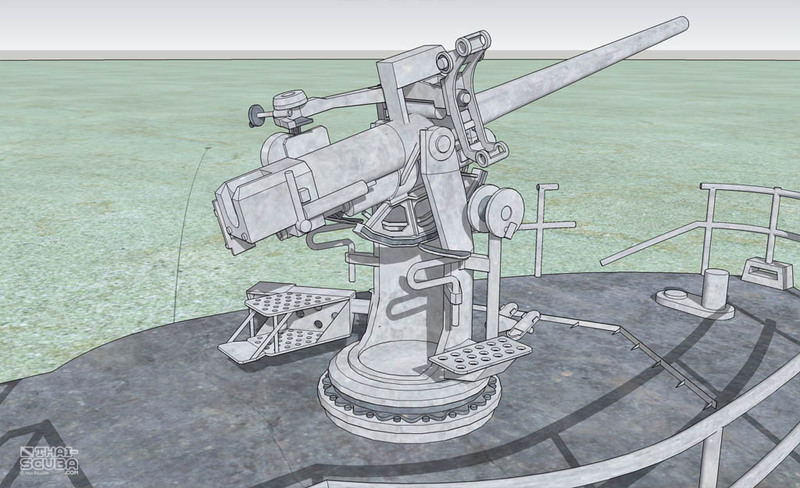 Here the animation video produced with the 3D model to get the full impression with moving pictures. 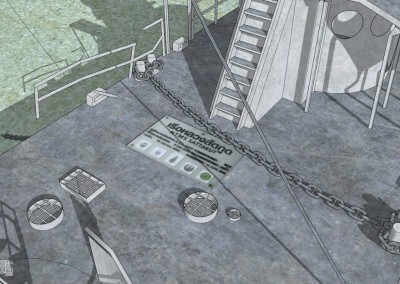 Click on the ‘expand’ icon bottom right to view in full screen.